Snow boots are an essential purchase during the cold winter months. Having cold, soggy and wet feet is something we’ve all experienced at some point, and it is perhaps one of the most uncomfortable things. Nothing will cut your day short quicker than cold and wet feet. This is why snow boots are so important. 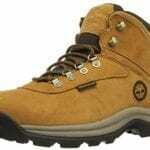 Snow boots are specially manufactured footwear that has insulation and waterproof outers. These boots are made to be incredibly comfortable and will keep you warm and cozy even when in a snowstorm. Snow boots also have a great grip and will keep you safe during the ice and storms this winter. The market for snow boots is always increasing, making the choice to find the best pair for you quite difficult. View the Best Snow Boots, Below. How To Break In Snow Boots? How To Clean Snow Boots? We have used customer reviews and renowned brands to find the ten best snow boots to keep you warm, cozy and safe this winter season. These waterproof hiking boots are stylish and incredibly comfortable. Their simple and classic Timberland style is versatile and can be worn both on and off the hiking trail. They have a premium, full-grain waterproof construction that is designed to keep your feet warm and dry all winter long. The lace hardware is rustproof and is made to last a long time, making these snow boots a great investment. These snow boots are trail-ready and can make such a difference to your winter activities, hiking and even everyday life when its cold outside. The thick rubber sole has great traction and can keep you balanced when on the ice and snow. Timberland is one of the best brands in the business and these snow boots are incredibly comfortable, stylish and versatile. These snow boots have a classic silhouette with their stunning, waterproof and high-quality leather outer. This snow boot also combines suede and soft faux-fur around the cuff for maximum comfort. The felt inner is removable and recycled, so it is easy to clean and works to keep feet warm, dry and comfortable even in the coldest climates. The outsole of these snow boots has been handcrafted and is a vulcanized rubber shell with herringbone to deliver great traction. These boots will not only keep you warm but will also keep you upright and balanced on the ice and snow. These stunning snow boots are incredibly comfortable and will keep your feet warm, dry and stylish this winter. The LABO Men's Snow Boots are made from a waterproof leather outer and feature an insulated lining to keep your feet warm and dry. These snow boots are simple in their design, which makes them versatile and suitable for a range of different men. The rubber sole is durable and offers a great grip in the snow or ice. These snow boots for men are a great value and can make all the difference to your winter wardrobe. 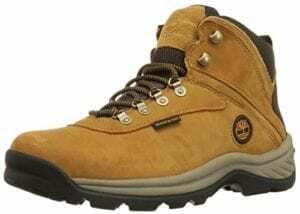 As they are durable and long-lasting, these boots can be worn at work and at leisure activities. They are an incredibly versatile and popular model online. These snow boots are simple in their design, but high-quality in their materials making them versatile and great value. These snow boots rely on advanced technology to provide ultimate comfort and support during the cold winter months. They use exclusive Techlite midsole, which is lightweight and delivers a high energy return, as well as an Omni-Grip which offers advanced traction in the rubber sole. These winter boots are made from a high-quality combination of leather and textiles that is waterproof and heavily insulated. These boots can keep your feet warm and dry during long winter walks and are incredibly stylish so they can be worn anywhere. With the insoles and exclusive technology, these snow boots are made to be worn comfortably for long periods of time. These stylish snow boots are comfortable, warm and waterproof to keep you safe all winter long. These snow boots are designed with expert craftsmanship for those who are seriously into their hiking, no matter the weather. They are made from durable and water-resistant leather that works to keep your feet comfortable and dry during the snow and ice. They combine durability and comfort seamlessly as well as being incredibly attractive for so many different wearers. These winter boots have an advanced traction outsole that works hard and have a great grip for every environment. Although they are durable, these winter boots are lightweight and offer great control when wearing which is why they are so suitable for a variety of different people. These snow boots are made for hiking as they have great traction and are expertly crafted from high-quality materials. These snow boots are both practical and stylish, making them incredibly versatile and ideal for all kinds of women this winter. 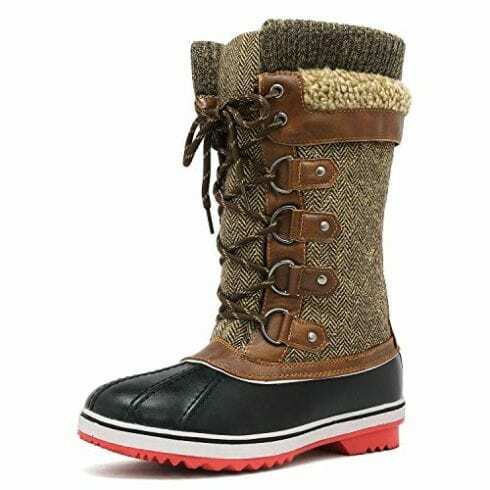 These attractive snow boots have a quilted top that is fused with speckled laces that are attached in a criss-cross pattern. These snow boots work to keep you warm and dry during the cold winter months with their faux-fur lining and PU outer. They are incredibly versatile and they can be worn when hiking or simply just for walking around the city center during a snowstorm. 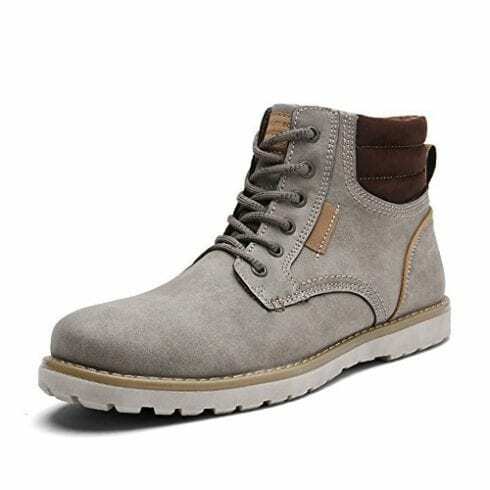 Although these boots have a thick outer layer, they are lightweight to provide a comfortable and secure fit. 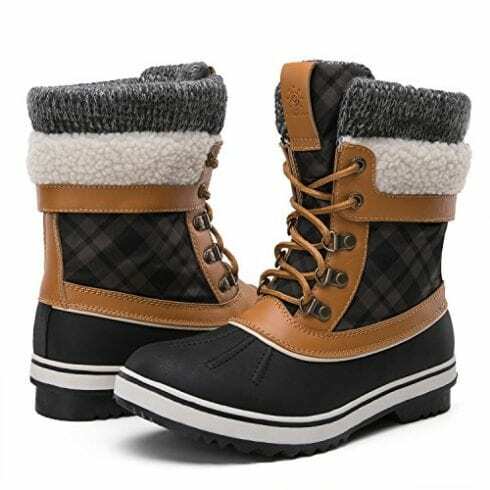 There is a great range of colors and patterns available in these snow boots, making them suitable for so many women. These snow boots are stylish and practical as they work to keep you dry and warm during the winter, while still looking good! These snow boots are an incredibly great value and provide high-quality comfort during the colder climates. They are made from an attractive faux-fur that is water-resistant and have a fairly simple design, which means they can go with anything for any occasion. These winter boots have been made to last as they are durable and tough so you can wear them every winter. 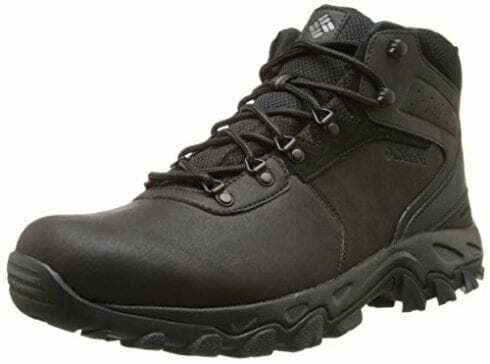 Although they are tough and durable, these boots are lightweight and easy to wear. The insoles are comfortable and will mold to the shape of your feet so you can wear them all day long without issue or pain. These snow boots are incredibly comfortable, stylish and great value making them suitable for so many different people this winter. The DREAM PAIRS Women's Mid-Calf Boots are durable and suitable for all winter weather as they are both water and wind-resistant. As they feature a 200g Thermolite insulation lining that actively works to keep you warm and comfortable even when it's freezing outside. This, as well as the cushioned insole, makes these boots super comfortable and suitable for long-term wear. These winter boots have a sturdy outsole that provides support and balance when on the snow or ice, making these boots safe and stylish for all. The rubber sole is slip-resistant and contributes to balance. These boots are made to keep you warm with their faux-fur lining. These women’s winter boots are durable, comfortable and stylish while actively working to keep you warm and dry in the winter months. 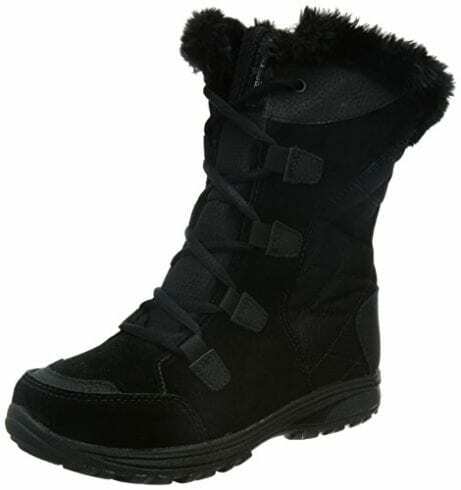 These snow boots are one of the best in the market for women as they are stylish, practical and affordable. The leatherette upper is water-resistant and easy to clean, making these snow boots suitable for long-term wear and repeated use. The stylish Slouch style features an ankle buckle strap and side zipper for easy wear. As the style is simple and chic, these snow boots are very versatile and will go with every outfit or occasion. The soles are slip-resistant and provide great traction on icy or snowy surfaces. These snow boots are made to be comfortable as they have a cushioned lining and insole and soft interior lining. These stylish and versatile snow boots are a great value and actually keep you warm, stable and comfortable. Snow boots are heavy-duty footwear that is made to be worn in the harsh, cold and icy conditions that winter can bring. They are suitable to be worn on hikes or winter walks, as they are typically waterproof and will keep your feet protected from water, snow, and mud. They also usually have great traction and will help keep you balanced and steady even when it is icy underfoot. 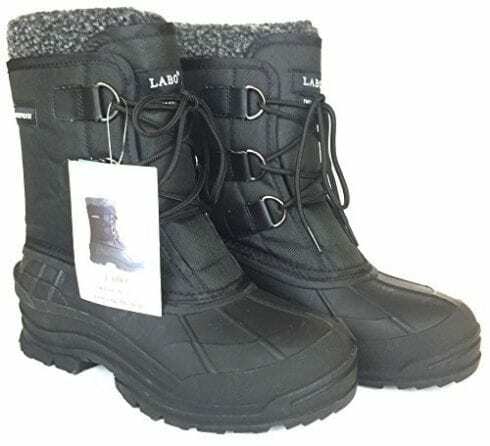 Snow boots are made for those that enjoy hiking or walking, although a lot of models throughout this snow boots review can be worn for everyday activities. If you want to be prepared for the harsh winter weather and keep yourself safe, then you should invest in a good quality pair of snow boots. 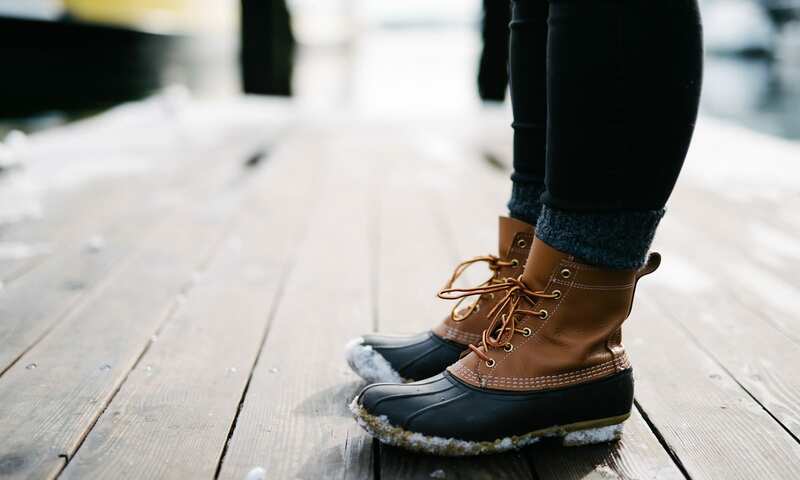 As the market for snow boots is ever-growing, as our winters seem to be getting harsher and longer each year, finding the best pair for your needs can be tricky. There are a few things you should consider when looking for extreme weather walking boots, in order to make sure they will work for you and keep you safe, warm and comfortable. The materials used for the snow boots will determine how comfortable, warm and durable they will be. The material to pay attention to typically is that used for the upper. In most snow boots throughout this review, the primary material is leather. Winter hiking boots such as the Timberland Men’s Waterproof Ankle Boot and the Columbia Men’s Newton Ridge Plus II Boot are made from 100% leather. This leather is a durable, long-lasting and most importantly waterproof material. Cold weather boots that rely on leather are going to keep your feet dry and comfortable no matter the climate outside. Leather boots are also most likely going to last a long time when compared to synthetic materials. That being said, some of the snow boots throughout this review such as the Columbia Women’s Ice Maiden II Snow Boot are made from a combination of leather and textiles to deliver a flexible and lightweight cold weather protection. As snow boots are made to be worn in cold weather and slippery conditions, the sole material and the traction they offer is vital. It is so important for your snow boots to deliver great balance and support when out hiking or simply walking on an ice-covered sidewalk. This means you should consider the material used on the sole as well as any other protective features the winter boots have. Most boots throughout this review have thick rubber soles, which is a great durable material that is commonly used in footwear for the traction it delivers. 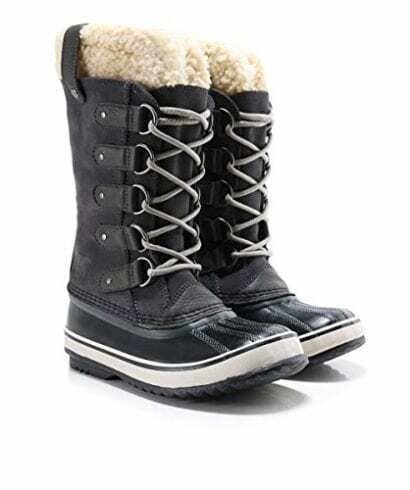 Some snow boots, such as the NORTIV 8 Men’s Insulated Winter Snow Boots have additional details on their soles for additional support and traction. These boots have multi-directional lugs on the base of the snow shoe to offer more traction and therefore more stability when walking in the ice, snow or mud. As snow boots are made to be worn in extreme weather conditions, warm materials and insulation layers are a must. Although most snow boots throughout this review, both for men and women, feature some form of insulation there are specific models that have a heavy focus on coziness. Keeping warm in the winter is essential to not only your health but also your productivity. When you feel comfortable, you are more likely going to perform better as you are not distracted by the cold or damp. Snow boots such as the Columbia Women’s Ice Maiden II Snow Boot rely on Techlite technology to offer a great heat-energy return and keep your feet warm even during the harshest conditions. Likewise, other boots rely on specific materials to offer great insulation. Boots like the Sorel Women’s Joan Of Arctic Boot have a faux-fur lining that retains heat and keeps your feet cozy no matter the weather. You want to look for boots that keep your feet warm and dry in order to find the best snow boots. The winter season is a long one, so your snow boots need to be worn for a very long time. If you are going to be wearing your boots for a long time, then you want to make sure that they are comfortable. The last thing you need during the colder seasons is a pair of boots that tear, damage and upset your feet. The key to comfort is the structure and material of your snow boots. A lot of boots throughout this review, those that are typically women winter boots, rely on a faux-fur lining for additional comfort and warmth. Boots like the Global Win Women’s Winter Snow Boots are incredibly comfortable as they are warm and flexible. Faux-fur is a soft and comfortable material that will keep your feet happy this winter. Other snow boots rely on cushioned insoles or specific linings to keep your feet comfortable all day long. The DREAM PAIRS Women’s Mid-Calf Boots have cushioned insoles that mold to the shape of your foot and provide additional padding so they can be worn all day long without issue. Snow boots are a vital purchase during the winter or if you are planning on visiting an area that is prone to snow and ice. They are made to keep you warm, comfortable and dry during these winter conditions so you can safely get on with your day. As snow boots are some of the most sought-after footwear, especially in certain parts of the world, there are some customer questions that need to be addressed. Snow boots are tough and durable footwear that need some time to be ‘broken in.’ Breaking in shoes is simply a matter of allowing them to adjust or get loose before they are comfortable to wear. 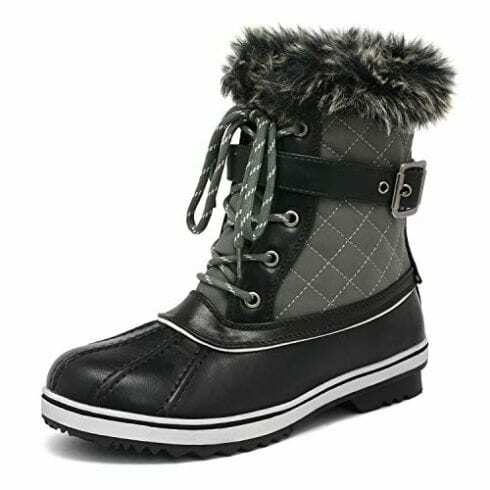 As snow boots are typically made from durable materials like leather, it is likely that they may feel uncomfortable and tight when you first try them on. It is recommended that you wear your snow boots around the house for regular intervals for a few days after purchase. This breaking in period will allow the leather outer to mold to the shape of your feet and stretch accordingly. As snow boots are so durable, they are designed to last you for years to come and will become more comfortable to wear with each wear. Snow boots can last you a long time, as long as you take proper care of them. Leather doesn’t have to be a difficult material to take care of – especially if you stay on top of this. Snow boots may be one of the best things you purchase. They are made to keep you warm, dry and comfortable during the harshest weather conditions. 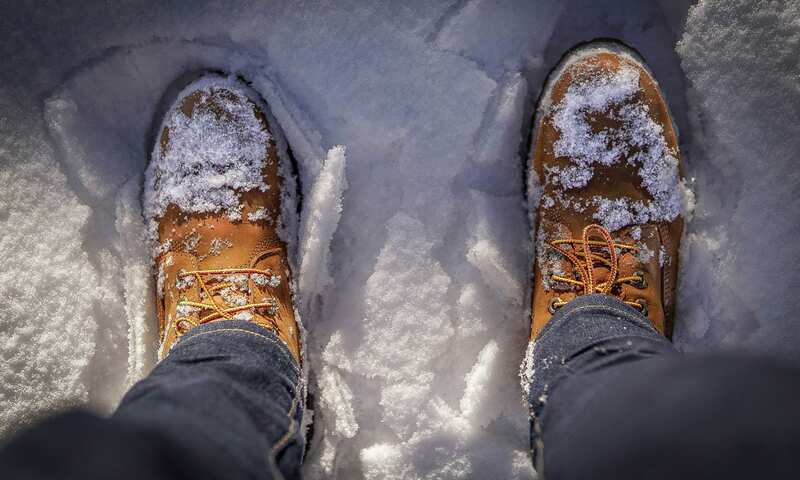 When you feel comfortable, you are more likely to be productive and snow boots can help you. If you choose the best snow boots for your needs, winter shouldn’t be an issue ever again! Leather is one of the best materials for snow boots as it is lightweight, durable and waterproof. Clean your leather snow boots with a gentle mixture of soap and water after wearing in heavy snow or mud to maintain their quality. We hope you enjoyed our article on "10 Best Snow Boots In 2019", if so, please share and rate it.